Welcome back to the Crossroads Quilt Along benefiting March of Dimes! We've met our initial goal of $10,000 - woo hoo!!! - and would love to raise even more funds for babies in need, so please continue to donate $5 per pattern download. Thank you for helping us make a difference in the lives of children and their families. FQS customers are the best! Today, we are introducing our 6th block, the Chain Block! This block ties the quilt together in a beautiful and charming way, while not competing with the other blocks, and we love Joanna's Chain Block design! Watch Kimberly's video tutorial and download the pattern to get sewing. For every pattern download, we are asking for a minimum of $5 donation to our March of Dimes fundraiser. New to the Crossroads Quilt Along? You can still join in the fun! 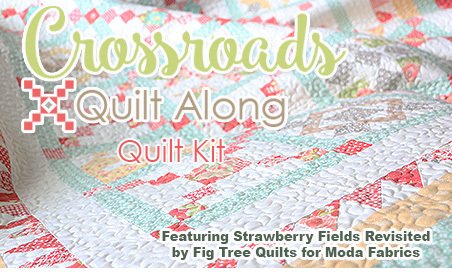 We have a Crossroads Quilt Along Quilt Kit available for your convenience, as well as a Crossroads Quilt Along Specialty Pieced Backing Set! 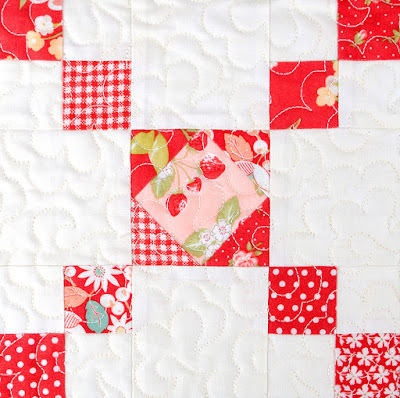 Hop on over to our Crossroads Quilt Along Bloggers to see their gorgeous blocks! 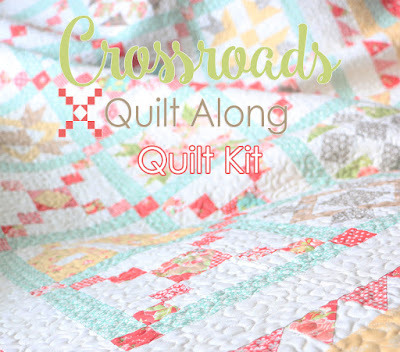 Don't forget to join our Crossroads Quilt Along Facebook group and share your finished blocks with #crossroadsquiltalong. Check back August 15th for the next part of the pattern, the Finishing.